An in-game console similar as used in popular games. Useful as a debugging or testing tool. Define your own commands for testing or call any method on a component in the scene. EasyConsole is very extensible and has support for multiple GUI frontends. Proper parsing of command including support for escaped characters. Custom parsers to be able to parse your own defined types. Built-in parsers for int, float and string. Easy to change the gui or use a different GUI system altogether. 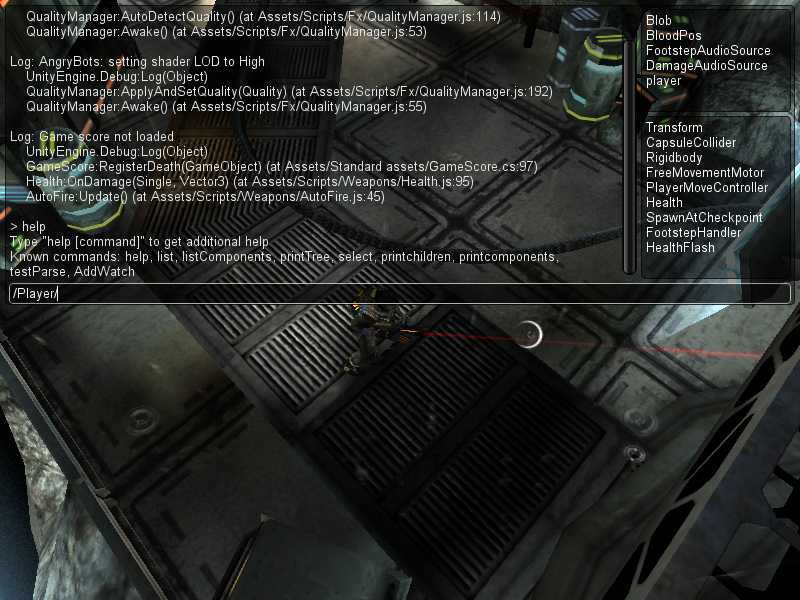 Includes a Unity GUI and a NGUI front-end.